Over the years, the Highland ecosystem has sustained damage and some animals have been made extinct. As a result, extraordinary efforts are now being made by scientists, conservationists and local people to repair the damage of the past. 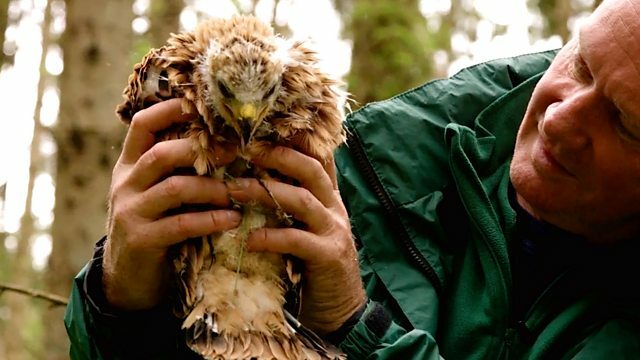 One conservation success story is that of the red kite. This magnificent bird of prey was once persecuted to extinction and after an absence of nearly 120 years was re-introduced in the 1990’s. Dave Anderson, from Forestry Commission Scotland, monitors a population of between seventy and eighty in the Trossachs. Tagging the chicks allows important data to be recorded about the bird and their use of habitat as they grow older. This is just one of many conservation initiatives that aim to ensure Highland wild landscapes and habitats can go on being enjoyed by future generations.